New Delhi: The contours of India’s merchandise trade with the rest of the world have changed dramatically in the past six years. While the combined share of the US and the European Union as destinations of Indian exports declined to 30% in 2010-11 from 40% in 2004-05, the share of shipments to Asian economies jumped to 54% from 47%. Exports to Latin America and Africa also increased to 12% of the total from 10% in the same period. South-South trade—primarily between the nations of Asia, Africa and Latin America—used to rely more on ideological considerations than sound economic principles. But not anymore. Since the 2008 economic crisis, South-South trade is considered a major stabilizing force in the global economy. 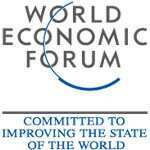 Between 1990 and 2009, its share in world trade rose from 7% to 17%. Asian economies have traditionally dominated South-South trade. According to the Asian Development Bank, the contribution of the region to world output growth rose from 27% in 1981 to 51% in 2010, although this increase is somewhat magnified by the global crisis. Even without China and India, developing Asia’s share of world gross domestic product (GDP) nearly doubled from 5.1% in 1980 to 9.6% in 2010. With the Doha Round of multilateral trade negotiations making no headway and the developed world’s economic might on the decline, India has leaned in favour of trade with Asian and African economies to diversify its export basket and support its own economic growth. Over the past few years, the government has signed a number of bilateral, regional and inter-regional preferential trade agreements to bolster South-South trade. 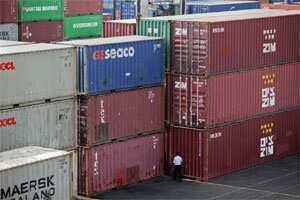 The commerce department is hoping to double exports to $500 billion by 2013-14 from $246 billion in 2010-11. In May 2011, it outlined a three-pronged strategy to achieve the goal: (a) Retain presence and market share in the “old developed country markets"; (b) Move up the value chain in providing products in these old developed country markets; and (c) Open up new vistas, both in terms of markets and new products in the new markets. The country is engaged with neighbours through the South Asian Free Trade Area (SAFTA) agreement as well through bilateral trade arrangements. Its trade agreement with the Association of South east Asian Nations (ASEAN) in 2009 has helped bolster economic ties with nations further east. Forums such as BRICS (Brazil, Russia, India China and South Africa) and IBSA (India, Brazil and South Africa) are also becoming important platforms among developing countries. Even as South-South economic cooperation grows, analysts say a crucial challenge is to ensure that least-developed countries (LDCs) benefit more from it. Developing countries such as India and China may have to provide technical assistance and help in capacity building in such LDCs, a commerce ministry official said, requesting anonymity. Another challenge is to resolve conflicts of interest among emerging economies, such as India and China. Both countries are competing for natural resources in Africa and Latin America, which could hinder rather than smoothen trade ties among developing countries and LDCs. There is strategic competition between members of the South in terms of border disputes, fight for resources, influence, common markets and economic and political space, “but cooperation and competition go hand in hand," said India’s former foreign secretary Shashant, who goes by one name. Krishna V. Rajan, former secretary (east) in India’s foreign ministry, said although there is competition between India and China, their approach to global trade was different. “India and China are not offering the same basket of products. What India brings to the table is different from what China has to offer, and most countries seem to know the difference," Rajan said. “What India offers is transfer of technology and its record is better than China’s on this count. The comfort level of countries with India is different than with China." He added that India and China have an edge in the delivery of services, while developed countries have critical technology to offer. “So it cannot be one or the other," he said. “Indian and Chinese companies have the resources to save European firms, for example. So there is a market out there and it is an interesting phase that we are seeing in the global economy today."